1 in 5 fatal pedestrian accidents involves a hit-and-run driver. Self Preservation – Stolen Vehicle, Drag Racing, etc. Too often, hit-and-run accidents leave a victim without means of making a recovery or paying for the cost of medical bills, pain and suffering, lost wages, rehabilitation and other expenses. And when, and if, a driver is located, he or she is often found to have been driving without insurance. The Fort Myers car accidents attorneys at Associates and Bruce L. Scheiner, Attorneys for the Injured, are dedicated to fighting for the rights of the victims of hit-and-run accidents in Fort Myers, Cape Coral and throughout Southwest Florida. We have the knowledge and experience necessary to handle cases involving uninsured or underinsured motorists, including “phantom drivers” from hit and run accidents. By some estimates, the economic downturn in recent years has left as many as 1 in 4 Florida drivers without proper insurance. Hit-and-run accidents often involve pedestrians or bicyclists – making Florida among the most dangerous states in the nation. The National Highway Traffic Safety Administration reports Florida is the most dangerous state in the nation for bicycle accidents and the only state to report more than 100 deaths (107) from bicycle accidents in 2009. Florida pedestrian accidents claimed 466 lives that year – more than anywhere else in the nation except California (563). Typically, a criminal case will result if a driver is identified and arrested. In such cases, a civil claim for damages will run parallel and may be impacted if a defendant is sentenced to jail, loses his job, or is otherwise unable to work. He or she may also spend the limited resources that are available on defending against the criminal charge. Such issues can make it particularly critical to seek a recovery against all available insurance policies, including policies held by the victim or other vehicles in his or her household. At Associates and Bruce L. Scheiner, Attorneys for the Injured, we will conduct a thorough review of the facts and circumstances of the accident, work with prosecutors to coordinate the case and keep you informed, and indentify all available resources to make a recovery. In cases where we are called in the immediate aftermath of an accident, we may even be able to assist in locating the at-fault driver. 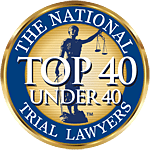 One universal truth is this: Identifying avenues of recovery through applicable insurance policies and pursuing them on your behalf are among the most critical aspects of a case involving a hit-and-run driver or an uninsured or underinsured motorist. Our Fort Myers car accident attorneys believe accident victims deserve immediate access to high-quality legal representation. As such, we are available 24 hours a day for a confidential consultation. And, if we agree to take the responsibility of seeking justice for you and your family, you’ll pay us nothing unless we win.